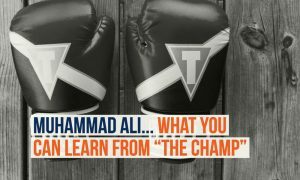 Muhammad Ali... what you can learn from "The Champ" - Coach & Grow R.I.C.H. Next thing I know, It’s 2 hours later and I’m completely absorbed watching the memorial service for the legendary boxer and activist, Muhammad Ali. …After watching today’s tribute I have a newfound appreciation and respect for “The Champ.” His life story and legacy are so inspiring. Totally worth watching if you can catch a replay. #2 – I’m curious, what made you read this post? It was the subject line, right? Well, that’s why I want to share one of my favorite marketing tips with you today. An excellent way to connect with your followers is by tapping into current events and pop culture. In other words, you could use the exact same subject line as I did and share your thoughts about what your audience can learn from Muhammad Ali as it relates to what you coach on. If you focus on leadership, you could write about taking a stand for what you believe in and reference how Ali refused to be drafted. If you’re a health coach you could write about his training regimen or how he dealt with 30 years of Parkinsons disease. If you focus on relationships, you could write about Ali’s dedication to his wife and family. If you’re a life coach, you could write about being true to yourself or leaving a legacy. Do you see how this list could go on and on? …and not worry about making it perfect!